This article provides in-depth fundamental analysis of Ishan Dyes & Chemicals Ltd, an Indian manufacturer of CPC Blue, Alpha Blue and Beta Blue pigments finding use in plastics, paints, inks and water base industries etc. 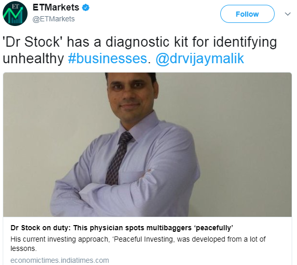 I have been going through all your “Selecting Top Stocks to Buy – A Step by Step Process of Finding Multibagger Stocks” for the past 1 month now. 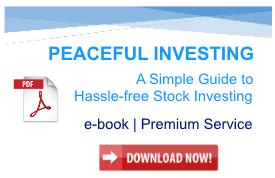 While going through this, I selected Ishan Dyes & Chemicals Ltd and did the step by step analysis of it. I am sending you my work for the last 1 month, I really appreciate your effort of sharing your knowledge with us. Ahmedabad based pigment producing company, with major products as CPC (Copper Phthalocyanine) blue, pigment alpha blue and beta blue which act as input for Paint, Plastic, Rubber, Textile and Ink industries. Ishan Dyes & Chemicals Ltd has a single plant in Vatva, Ahmedabad with a production capacity of 2400 MT, but the company is planning to double its production capacity in the coming years. Ishan Dyes & Chemicals Ltd is run by two key promoters which are Piyush N. Patel and Shrinal P. Patel a father son duo. Market Cap > ₹25 cr. Sales have rebound after 2015 weak figures. Last 2 years the growth rate has been 16%. Operating Profit and Net profits say the same story, a rebound after 2015. The debt has reduced but not much. They have mentioned that the company would be needing an external source of funds for the upcoming capacity expansion project. The cash conversion efficiency parameters of Inventory turnover and debtor turnover have not been stable. Only has the cumulative operating cash-flow has been utilized for CAPEX. Positive Free cash- flow after meeting CAPEX as we saw earlier. Ishan Dyes & Chemicals Ltd thus faces weak supplier and customer bargaining power. Exports as a percentage of sales have been increasing. Checked credentials for the key promoters Piyush N. Patel and Shrinal P. Patel, also against the company’s name, but no issues, penalties or regulatory actions were taken, which are found on Google. Last year was the first time they gave dividends also this year they gave bonus shares of 1:2 on 17th Feb 2017. Recently in January after the dividends were declared the price rose to 52 weeks high then might be Marut Chandra might have sold his 1100 shares. Related party transactions: This has been the most confusing part for me. As I went through Annual reports from 2012 to 2016. The following are the things I came across. There are no credit rating reports available for this company. I have mentioned almost the points I have come across. The capacity is planned to increase by 25% from 3800 MT to 4760 MT. Ishan Dyes had a good sales growth which can be replicated with the present initiatives taken into consideration. One concern over here is the efficiency parameter of inventory, debtors turnover plus the tax rates, can’t make out if the books are cooked. The other concern is, the father-son duo capable enough to make it big? But it is certain after looking at the peer positions that Ishan dyes have a long way to go, and with proper investment decisions, it can be achieved. Did I miss out any crucial company analysis part? I purchased this stock after demonetization and then increased my holding, my average price has now gone to Rs 51 and the share has been showing weak signs after the last quarter results (Current price ₹46), did I miss out something which the market was able to notice? Is this company just a small company owned and run just by the father-son duo with no big future prospects? The only thing that has kept me invested in this stock is the fact that they have given dividend for the first time last year plus bonus share this year. Should I expect more looking at the current scenario? Thanks for sharing the analysis of Ishan Dyes & Chemicals Ltd with us! We appreciate the hard work put in by you in the analysis. Let us first try to analyse the financial performance of Ishan Dyes & Chemicals Ltd over last 10 years. 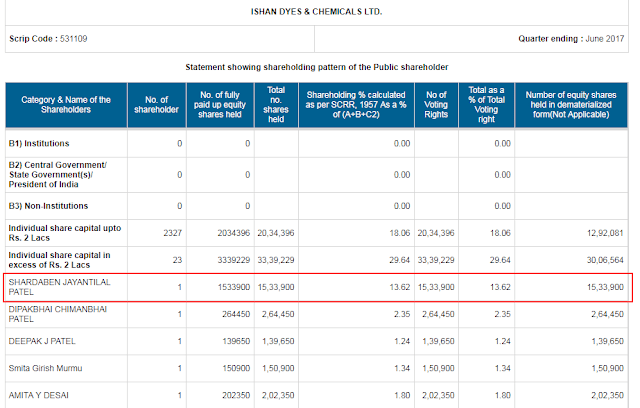 While taking the financial data of Ishan Dyes & Chemicals Ltd from different public sources like Screener or Moneycontrol, an investor would notice that these sources do not contain the data for FY2008. Moneycontrol has the data only from FY2009 onwards and Screener has the data of FY2006, FY2007 and then FY2009 up to FY2016. Moreover, as the annual report of Ishan Dyes & Chemicals Ltd for FY2017 is yet to be published, therefore, only Ltd financial data of FY2017 is available in the form of summary profit & loss statement and the summary balance sheet published by the company with the results of Q4-FY2017. As a result, to bring the continuity in the financial analysis of Ishan Dyes & Chemicals Ltd for past 10 years, we have extracted the data of FY2008 from the previous year data published in the FY2009 annual report, which is available at the website of Ishan Dyes & Chemicals Ltd. We have used the Ltd financial information available in the Q4-FY2017 results to do our analysis for FY2017. 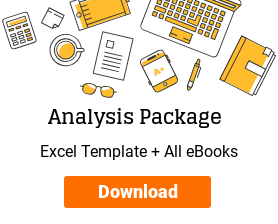 We believe that with the Ltd data available in the Screener data sheet for FY2006 and FY2007, we can do a rough estimation of CFO by using the above components available in the data sheet. We understand that the above formula does not factor in changes in trade/account payables because this data is not available in the Screener data sheet. However, we believe that a rough estimation of CFO based on the above formula for the initial few years in the history of last decade should help in approximating an analysis by the investor. Ishan Dyes & Chemicals Ltd has been growing its sales since last 11 years (FY2006-17) at a rate of 16% year on year from ₹13 cr. in FY2006 to ₹67 cr. in FY2017. However, the achievement of this enhanced revenue has been a rough journey for Ishan Dyes & Chemicals Ltd. The revenue was growing at a brisk pace of 25% until FY2014 when it reached the highest ever revenue of ₹75cr. In FY2015, the company witnessed a decline in sales revenue to 50 cr. and is yet to surpass the maximum revenue achieved in FY2014. The growth in sales for Ishan Dyes & Chemicals Ltd seems to be challenging experience because this journey of growth in revenue has witnessed wild fluctuations in the profitability margins over the years. 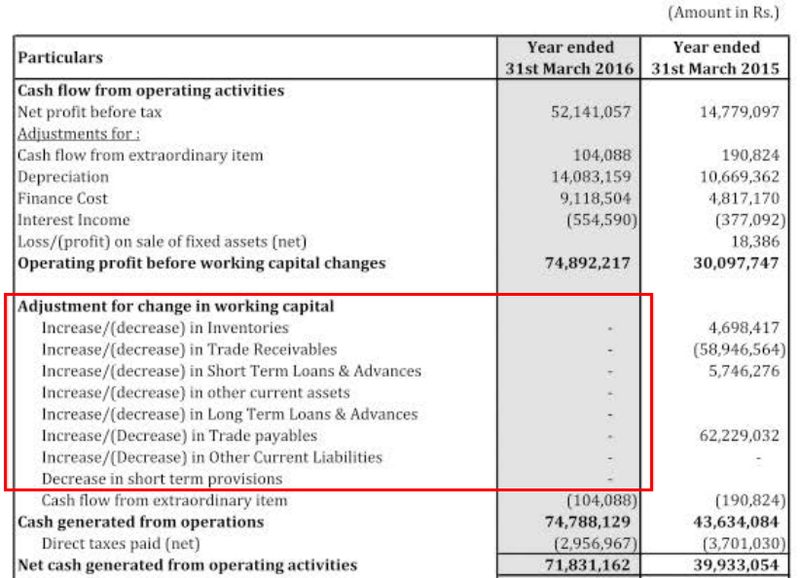 Ishan Dyes & Chemicals Ltd was making operating losses until FY2007 and in FY2008, it could report the operating profit only to again fall into losses in FY2009. Since then operating profitability margin (OPM) has been fluctuating wildly between the range of 4% to 14%. In FY2017, the company has reported highest ever OPM of 17%. As rightly highlighted by you, such fluctuating pattern of operating profit margin over the years indicates that Ishan Dyes & Chemicals Ltd is not able to immediately pass on the raw material price increases to its customers. As a result, when the raw material prices increase, Ishan Dyes & Chemicals Ltd has to take a hit on its profitability margins. Such a situation indicates that the company does not command a pricing power over its customers. The impact of fluctuations in the raw material costs on the profitability margins of Ishan Dyes & Chemicals Ltd is very significant, which became evident in FY2015, when the raw material prices increased and on top of it the final product prices declined to result in the operating profit margins declining from 12% in FY2014 to 5% in FY2015. The recent improvement in the operating margins of Ishan Dyes & Chemicals Ltd to 17% seems to be helped by the lower raw material costs (linked to crude oil prices) as well the reduced supply of pigments/chemicals from China on account of strict environmental measures taken by Chinese govt. on the manufacturers in their country. In light of commoditised nature of the product of the company, it remains to be seen whether Ishan Dyes & Chemicals Ltd is able to maintain such operating profitability margins going ahead. The net profit margins (NPM) of the company have been following the trend of operating margins and the NPM has been fluctuating from 1% to 8-9% over the years. The tax payout ratio of Ishan Dyes & Chemicals Ltd been significantly lower than the standard corporate tax rate prevalent in India. We suggest that an investor should seek inputs from the company about the various tax incentives available to Ishan Dyes & Chemicals Ltd along with their maturity dates. This would help to enable the investor in estimating the correct payout ratio for the company and make her assessment accordingly. While assessing the net fixed asset turnover (NFAT) for Ishan Dyes & Chemicals Ltd, an investor would notice that NFAT, which was increasing consistently until FY2014, when it reached the highest level of 9.3 has declined to 4.91 in FY2016 and has improved to 5.23 in FY2017. It seems that Ishan Dyes & Chemicals Ltd was able to improve its revenue by using efficient higher utilization levels of the plants until FY2014, which led to rising NFAT until FY2014. However, from the net fixed assets from ₹7 cr in FY2014 to ₹13 cr. in FY2016, it seems that the company invested in additional capacities. The lower capacity utilization in the following years, as mentioned by the company in its FY2015 annual report, has led to declining NFAT. It is advised that in light of declining NFAT, which seems to be partly due to lower capacity utilization levels, the investors should contact the company to understand the current capacity utilization levels to assess whether the company has the probability of any operating leverage left. Moreover, in April 2017, Ishan Dyes & Chemicals Ltd has disclosed to the stock exchanges about their plans to further increase the production capacity by 960 MTPA. the company is planning to spend more on plant & machinery despite lower current capacity utilization, in the anticipation of higher orders under the assumption of continued reduced supply from Chinese manufacturers (due to enforcement of strict environmental norms by China on its chemical manufacturers). Our experience/analysis of multiple companies listed on Indian stock exchanges have shown that the industries having high NFAT levels in the range of about 5 are characterized by low capital intensive nature of the operations. In such industries, if this advantage of low capital intensively is not a result of some unique advantage like patents, brand etc., then such companies face a lot of competition from unorganized sector. This is because a lot of entrepreneurs are able to put in manufacturing plants by raising finance from friends and families and are in turn able to compete with large organized players. 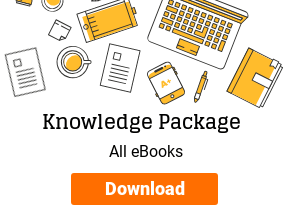 The presence of a large number of unorganized players in such industries with NFAT levels of 5 and above, which lack brands and patents, lead to the commoditization of products and as a result, the suppliers/manufacturers in such industries lose their pricing power from customers and become price takers. 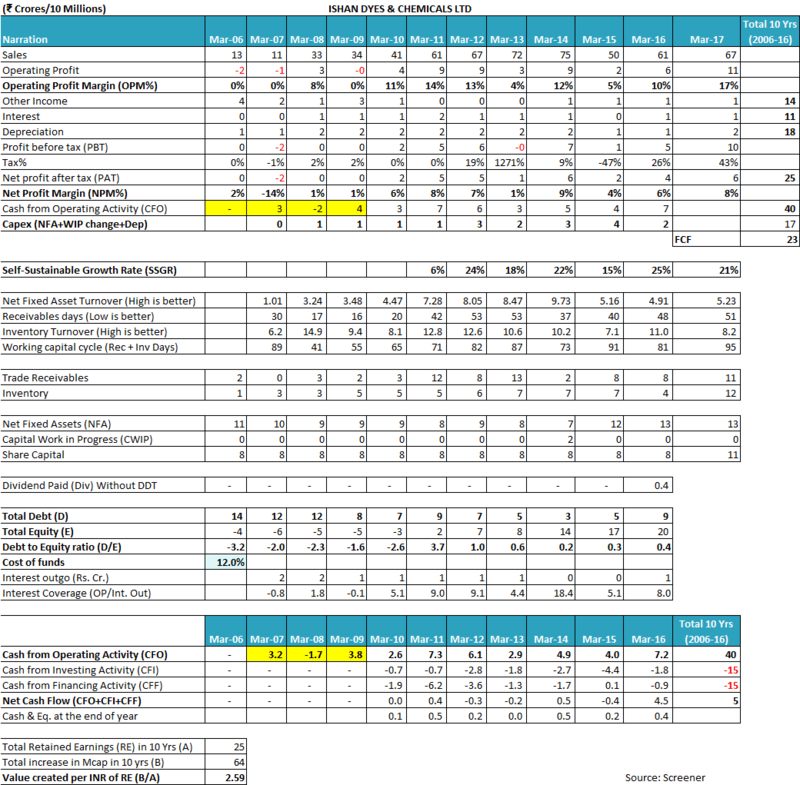 The lack of pricing power of Ishan Dyes & Chemicals Ltd is evident from the fluctuating operating profitability margin (OPM) as discussed above in the article. When an investor analyses the receivables days of Ishan Dyes & Chemicals Ltd, then the investor would notice that the receivables days of the company have increased from 16 days in FY2009 to 51 days in FY2017. The increase in receivables days represents the increasing delay in the collection from customers, which seems to be an extension of the lack of supplier’s power over customers. Looking at the inventory turnover ratio (ITR) of Ishan Dyes & Chemicals Ltd, an investor would notice that ITR has declined from 14.9 in FY2008 to 8.2 in FY2017 indicating that the efficiency level of inventory utilization by the company is going down over the years. This is also evident from the fact that in FY2008, the company carried an inventory of ₹3 cr. for sales of ₹33 cr. whereas by FY2017, the sales increased two times to ₹67 cr. whereas the inventory levels increased four times to ₹12 cr. Going ahead, an investor should keep a close watch on the receivables days as well as the inventory turnover levels of Ishan Dyes & Chemicals Ltd. The investor would notice that Ishan Dyes & Chemicals Ltd has an SSGR of about 20% over the years whereas it has been growing its sales revenue at a growth rate of about 16% over last 11 years. The growth rate has witnessed a moderation in the recent years. Upon reading the SSGR article, an investor would appreciate that if a company attempts to grow at a sales growth rate, which is higher than the SSGR, which it can afford from its internal sources, then will have to rely on the fund infusion from outside in terms of debt or equity. However, if a company is growing at a rate equal to or less than the SSGR and it is able to convert its profits into cash flow from operations, then it would be able to fund its growth from its internal resources without the need of external sources of funds. An investor would notice that during FY2006-16, Ishan Dyes & Chemicals Ltd had a total net profit of ₹25 cr. and during the same period, it had reported a total cash flow from operations (CFO) of ₹40 cr. As the growth rate of Ishan Dyes & Chemicals Ltd is within the SSGR limits and the company has been able to convert its profits into cash flow from operations, therefore, it becomes evident that the company has been able to fund its growth from internal resources without needing debt or equity dilution. This assessment gets substantiated when the investor analyses the free cash flow position of Ishan Dyes & Chemicals Ltd.
Over FY2006-16, Ishan Dyes & Chemicals Ltd has witnessed its sales increase from ₹13 cr. in FY2006 to ₹61 cr. in FY2016. For achieving this sales growth the company has done an additional capital expenditure (capex) of ₹17 cr. However, Ishan Dyes & Chemicals Ltd has generated a cash flow from operations (CFO) of ₹40 cr. over FY2006-16 leading to a surplus of ₹23 cr. as free cash flow (FCF) to its shareholders. Ishan Dyes & Chemicals Ltd seems to have utilized the resulting free cash flow (FCF) of ₹23 cr. to reduce its debt from ₹14 cr. in FY2006 to ₹9 cr. in FY2016, pay interest expense of ₹11 cr. over FY2006-16 and to pay dividend to equity shareholders for the first time in FY2016. 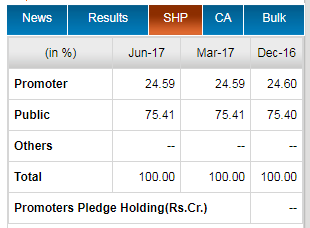 An investor would notice that the shareholding of promoters in Ishan Dyes & Chemicals Ltd has been low at the levels of 24.59% on June 30, 2017. On the face of it, an investor would feel that the promoter’s shareholding is very low and it might create a challenge for the promoters to get board approvals on their key strategic decisions, which need to be passed by way of special resolutions requiring minimum 75% of the votes. Also, low promoter shareholding exposes any company to potential hostile takeovers where the acquirer may buy significant stakes from open markets and in turn make an open offer to other public shareholders and thereafter reach the majority shareholding mark and thus take over the management control of the company. 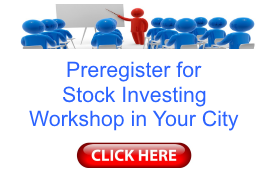 However, after analysing many companies listed on Indian stock markets esp. those having small market capitalization, it has been our experience that many times, the shareholding of such companies is distributed among friends and family. Many times, such shareholders get classified as public shareholders legally, but in effect are persons known to the promoters. 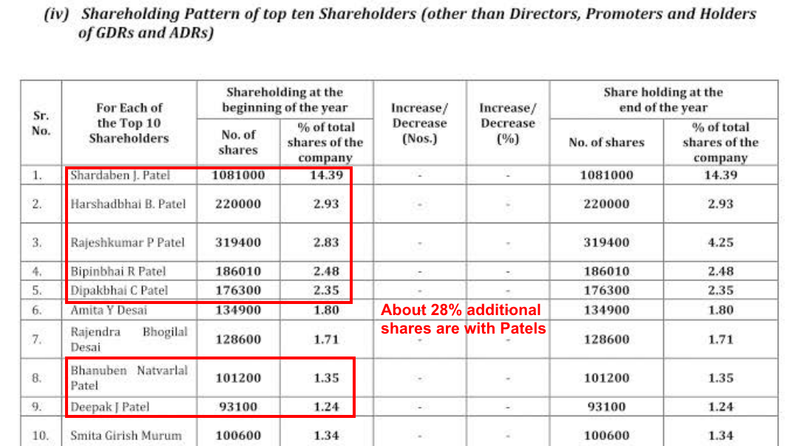 I most of the cases, these shareholders vote with the promoters and therefore the promoters are able to run the company as per their own strategic vision despite reporting low promoter’s shareholding to the markets. It might be argued that the large public shareholders like Ms. Shardaben Jayantilal Patel and others might share the surname Patel with the promoters, Piyush Patel and Shrinal Patel, which might be a coincidence and they may not be related to each other. However, in a recent development in the current month, Ishan Dyes & Chemicals Ltd has intimated the stock exchanges on July 11, 2017, that the largest public shareholder Ms. Shardaben Jayantilal Patel has decided to take an exit from the company. Out of the 15,33,900 shares held by Ms. Patel, 25,000 shares each would be bought by Piyush Patel (Acquirer 1) and Shrinal Patel (Acquirer 2) respectively and the balance 14,83,900 shares would be gifted by Ms. Patel to Mrs. Mirali S Patel (Acquirer 3). 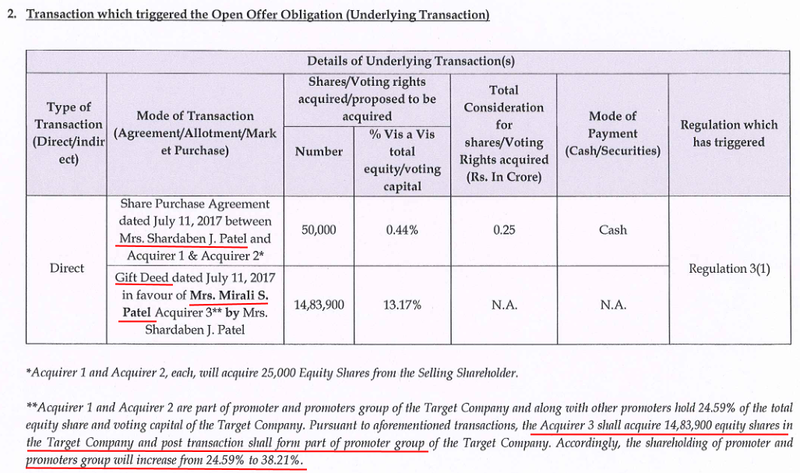 It is important to note that the person receiving the shares in the gift, Mrs. Mirali S Patel (Acquirer 3) would be classified under promoter shareholders, thereby increasing the promoters’ stake, which would be henceforth reported to stock exchanges. The above chain of events can be interpreted to suggest that the earlier largest public shareholder of Ishan Dyes & Chemicals Ltd, Ms. Shardaben Jayantilal Patel might be a close acquaintance of promoters’ family. Therefore, we advise that when investors analyse the low reported shareholding by promoters of many companies, the investors should further assess the details of large public shareholders to understand whether there is any probability of large public shareholders being friends/acquaintance of promoters. The presence of large public shareholders who are known to promoters and are willing to vote with the decision of promoters should give the comfort to shareholders that the promoters would be able to guide the company as per their vision. As rightly highlighted by you, Ishan Dyes & Chemicals Ltd is currently being run by a father-son duo of Mr. Piyush Patel and his son Mr. Shrinal Patel. The presence of the next generation of promoter’s family in the company management offers a visibility of smooth management succession in the company. 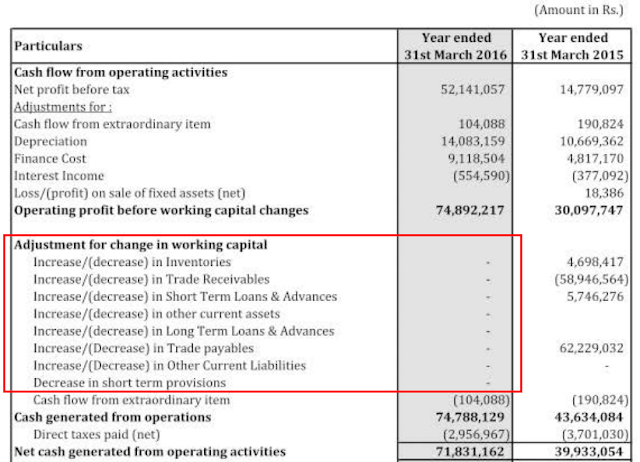 While reading the cash flow statement in the FY2016 annual report of Ishan Dyes & Chemicals Ltd at page 69, an investor would notice that during calculation of cash flow from operations, the company has not factored in the impact of change in the working capital position i.e. change in the inventory, trade receivables, trade payables etc. during FY2016. In light of the same, it is advised that the investors should seek clarifications from Ishan Dyes & Chemicals Ltd and the auditor about the way it has arrived at the cash flow from operations reported for FY2016 and whether the reported numbers present the accurate cash flow picture. 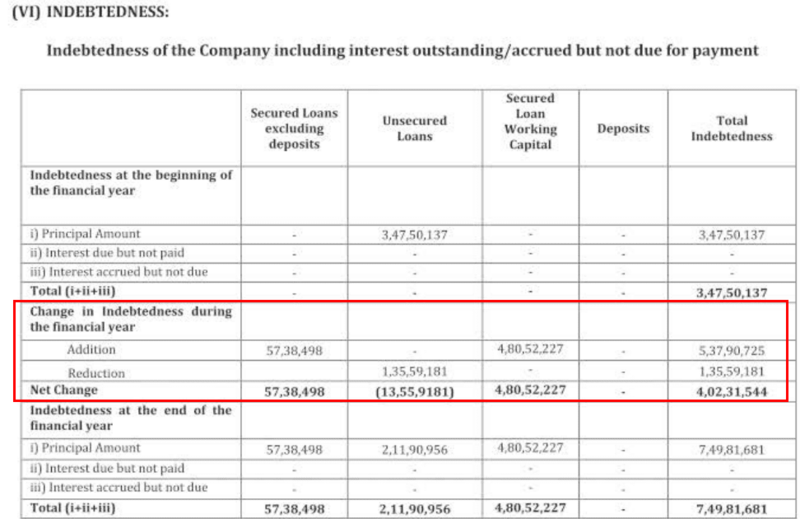 While reading about the debt position of Ishan Dyes & Chemicals Ltd in the table of indebtedness at page 30 of FY2016 annual report, the investor would notice that the company has taken additional debt of about ₹4 cr. in FY2016, which has led to the debt level increase from ₹3.5 cr. in FY2015 to ₹7.5 cr. in FY2016. In FY2016, Ishan Dyes & Chemicals Ltd witnessed a significant increase in the short term loans and advances from ₹2.2 cr. in FY2015 to ₹7.5 cr. in FY2016. Upon reading the detailed note no. 16 to financial statements at page 79 of the FY2016 annual report, an investor would notice that out of the total increase of ₹5.3 cr. in the short term loans and advances, ₹2.3 cr. is on account of advances to govt. authorities, which might be a part of day to day business operations of the company. Whereas the balance increase of about ₹3.0 cr. has been classified as “Others”. An investor would notice that an amount of ₹3 cr. is a significant sum for Ishan Dyes & Chemicals Ltd in the light of the net profits after tax (PAT) of FY2016 being ₹3.9 cr. It might represent a situation where about 75% of the profits earned by Ishan Dyes & Chemicals Ltd has been handed over to some undisclosed counter party as loans & advances. We believe that an investor should contact the company and attempt to seek further clarifications about the short term loans and advances. While going through the FY2016 annual report for Ishan Dyes & Chemicals Ltd, an investor would notice that in the “Industry Structure and Development” section of management discussion and analysis, instead of elaborating on the industry structure and dynamics, the company has repeated the “State of Company’s Affairs and Financial Performance” section of the directors’ report. We appreciate that you have focused on the related party transactions section in your analysis. We believe that analysing related party transactions is an essential part of assessing the management quality and integrity. This section is the first section to highlight any attempt by the management to shift the economic benefits of the company to other related/group/promoter owned entities. Hence, we recommend that every investor should analyse the related party transactions section of each of the companies that she wants to invest into. A quick assessment of the related party transactions data shared by you indicates two type of transactions between the company, Ishan Dyes & Chemicals Ltd and its promoters, Mr. Piyush Patel and his son Mr. Shrinal Patel. These are salary/remuneration and loans & advances to promoters. Salary/remuneration is a normal feature of the company operations and an investor should focus on finding out whether the remuneration is excessive in relation to value contributed by the person. In the case of promoters of Ishan Dyes & Chemicals Ltd, the remuneration is in the range of ₹18-24 lac per annum, which seems moderate because in the current situation the starting salary levels of candidates passing from tier-1 B-schools have starting salaries equal to or higher than these levels. Loans and advances to promoters is one area where most of the red-flags have been found in many companies. Therefore, we always advise investors to analyse and monitor the transactions where promoters take loans and advances from the company. This is because such transactions can help the promoters unduly benefit from the economic benefits of the company at the cost of minority shareholders. 2) Whether the father-son duo are capable enough to make it big? We believe that it is very difficult to make any predictions in this regard for the promoters/managements of companies. In such cases, we take comfort from a long history of promoters in any business like in the case of Ishan Dyes & Chemicals Ltd, the promoters have been in this business from the early 1990s and have seen multiple business cycles, regulatory environments etc. and have brought the company from scratch to current levels. Though the past experience might not guarantee that in future things will not turn difficult, nevertheless, we believe that any investor should keep the experience of promoters in any field in her mind while making her final investment decision. 3) Did I miss out any crucial company analysis part? We appreciate that you have spent a lot of hard work in the submitted analysis and have gone through multiple public documents like past annual reports etc. to analyse the company. The time & effort spent by you in the analysis is quite evident. However, the analysis of any company is never complete even after the investment is made by any person. After making the first investment, the process of monitoring the company for continued performance appraisal starts. We believe that contacting the company and taking clarifications of the aspects covered in the above sections will help the investor in further improving her understanding of the company and its business & financial position. 4) I purchased this stock after demonetization and then increased my holding, my average price has now gone to Rs 51 and the share has been showing weak signs after the last quarter results (Current price ₹46), did I miss out something which the market was able to notice? We do not attempt to assign reasons for the short term stock price movements as many factors apart from fundamentals of the company also have an influence on prices in the short term. These factors may include market sentiment, the flow of liquidity etc. 5) The only thing that has kept me invested in this stock is the fact that they have given dividend for the first time last year plus bonus share this year. Should I expect more looking at the current scenario? Currently, Ishan Dyes & Chemicals Ltd is available at a price to earnings (P/E) ratio of about 11 (based on FY2017 earnings), which offers some margin of safety in the purchase price as described by Benjamin Graham in his book The Intelligent Investor. Overall, Ishan Dyes & Chemicals Ltd seems to be a company operating in a commodities product market where the manufacturers do not have any pricing power over the customers and in turn get impacted by changing raw material costs and other business factors. As a result, even though Ishan Dyes & Chemicals Ltd has increased its sales at an annual rate of 16% over last decade, however, the performance of the company on profitability parameters leaves a lot to be desired. Ishan Dyes & Chemicals Ltd has witnessed its operating efficiency parameters decline over the years. However, still, the company has been able to keep a control over its working capital needs. As a result, the company has been able to grow within its internal resources and has been able to reduce debt over the years along with creating avenues for sales growth. The reported financials of Ishan Dyes & Chemicals Ltd have a scope for improvement in terms of presentation of data in different sections of the annual report. It is advised that investors should seek clarification from the company about these aspects especially the cash flow statement and loans & advances. The promoters of the company seem to have good control over the management despite their low reported shareholding in the company. The promoters seem to have put in the succession plan in place and are giving opportunities to their next generation to learn the ropes of the business under their guidance. It is advised that an investor should monitor the operating efficiency levels of the company, loans & advances movement with both promoters and third parties among other things like profitability levels going ahead. These are our views about Ishan Dyes & Chemicals Ltd. 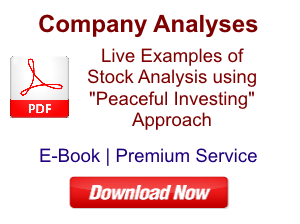 However, you should do your own analysis before taking any investment related decision about Ishan Dyes & Chemicals Ltd.